There are two kinds of ‘power of attorney’ documents, the one covers specific duties and can be limited to specific duties on your behalf, the other is a broad (durable) power of attorney which will give permission to a third party, to perform any transactions in your name while you are away. With the limited power of attorney, you can specify a specific duty or a time frame, in which case the power of attorney will be null and void after the task is performed or the time period specified has lapsed. Apart from this you would be able to revoke the power of attorney at any time as you see fit. Even though it is very easy to fill out pre-existing forms which are even available online, it is advisable to seek legal counsel if you intend to let someone else act on your behalf with financial matters. A power of attorney can be considered valid even with just the signature of the grantor. In Cyprus you can get a Certifying Officer to verify your signature, the officer can only do this if you sign the document in his presence and upon presenting identification documents so that there is no mistake on who is signing the power of attorney. The person must be known to the certifying officer, and there must not be any shadow of a doubt that the power of attorney is given with the permission of the grantor. When it comes to immovable property, the law requires specific written authorization certified by a certifying officer to allow any transactions to be finalized in your absence. There have been cases with forged signatures. If someone manages to forge your signature, even your spouse, and find a way to fraudulently take what is rightfully yours, the burden of proof that it is not your signature would fall on you. You would have to find an expert that would testify that the signature is not yours. To recap, a power of attorney is the only way you can legally appoint another person or attorney to make important decisions on your behalf. There are two kinds of power of attorney documents, the one is limited, specifying exactly for which type of transaction it is given for, which can also have a time frame. The other is a ‘durable’ power of attorney that allows for a broad spectrum of transactions and gives the donor the right to act on your behalf in almost any financial transaction. This can be a real time saver when you are out of the country and this broad type of power of attorney is usually given to an attorney who will be allowed to purchase property, open a company and sign any document on your behalf. If you decide not to use a lawyer, then it is your choice, and this matter should not be taken lightly. You are literally giving away your rights to a third party, and you have to be sure you know what you are doing. Private power of attorney documents have to be signed by a certifying officer before they can be used. If you are abroad, then you can visit the Cypriot Embassy or Consulate in your country and apply for the issue of a power of attorney which can be forwarded to your lawyers in Cyprus or to the private individual you want to send it to. 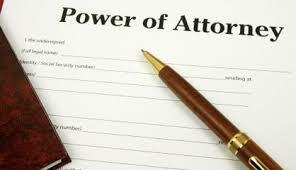 Getting a power of attorney, is a simple matter and does not require much effort. As we have discussed, if you need someone to represent you in Cyprus while you are out of the country, it is always best to go through a reputable law firm. Whatever the case, choose wisely so that you do not get any unpleasant surprises!